With lush jungles, floating villages, and lost temples, Cambodia is a fascinating country full of unexplored treasures. Its exotic landscapes have graced the silver screen many times over in famous films such as “Indiana Jones”, “Apocalypse Now”, and “Tomb Raider”. Its hidden secrets attract adventurers and archaeologists alike, all looking to find a little piece of ancient magic. But when you think of ancient temples, shrouded in deep jungle, or hidden communities tucked along lost rivers; the thought of accessibility doesn’t easily come to mind. For the most part you would be correct in thinking it was an unattainable dream, but getting access isn’t as far off as you may once have thought. Flying for over a decade, American native Eddie Smith has pretty much done it all. From flying for National Geographic to taking out university expeditions, there isn’t much of Cambodia he hasn’t flown his microlight over. With his aircraft which sits two people comfortably, Eddie has given people access to miles of untouched jungle for years; and his flights aren’t just for archaeologists or film-makers either. 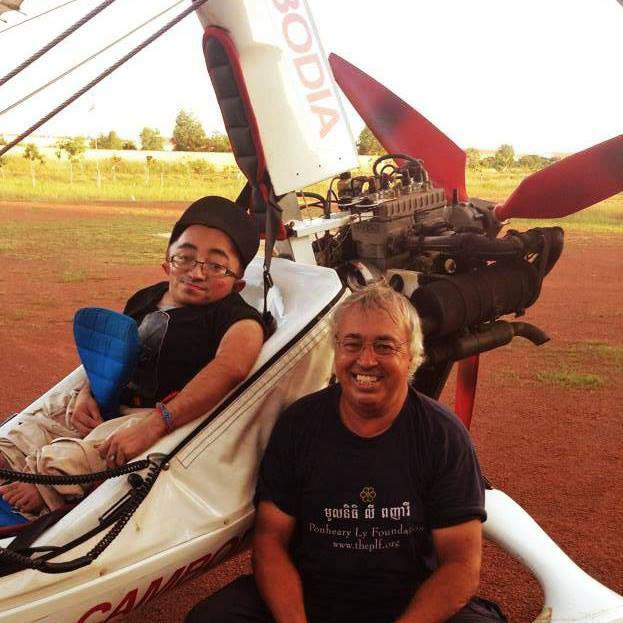 With the help of two people, its quit easy to transfer a wheelchair user in and out of the aircraft, and its something Microlight Cambodia prides itself in. There is no greater thrill in life than flying over expansive jungles, ancient temples, and exotic floating villages, so close you can almost touch it. A world that was once even unreachable for the toughest of adventurers, is now easily accessible to anyone with a sense of adventure. 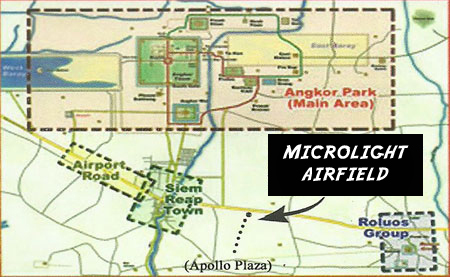 While accessibility in Cambodia is almost non-existent, Microlight Cambodia is doing its best to change that. 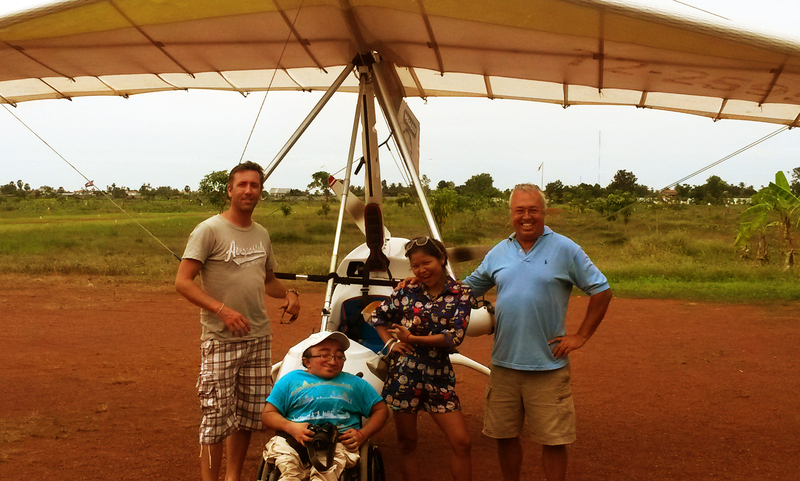 Accessible tours, hotels to adventures with Microlight Cambodia are now accessible. What hidden treasures await you? you’ll only find out if you come to Cambodia. A Cambodia which has never been more accessible than now. 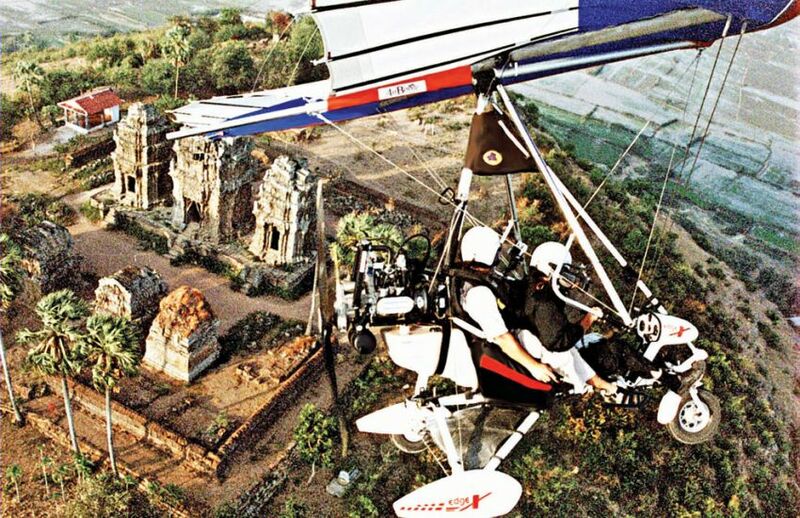 Posted on September 6, 2015, in Uncategorized and tagged adventure, angkor, cambodia, eddie smith, flying, microlight, siem reap, temples, ultralight. Bookmark the permalink. Leave a comment.